2) The case regarding the women dying is very instructive. I looked it up, and found an interesting discussion here. I also looked at the court brief cited in that discussion. I present the pertinent facts and my conclusions in the next section. 3) Regarding more evidence, I cannot provide anything beyond what I said in my previous article. While there remains the remote possibility that it is unsafe to cook foods in a microwave, there is currently no evidence to indicate such an idea. I have presented the physical principles by which microwave cooking works, and have found nothing in the physics of it to imply there is any problem. In fact, as I discovered, the evidence would indicate it is similar to slow water cooking methods and would therefore share their basic safety. I have also pointed out the preponderance of claims to the contrary to be repetitious, without basis and reflecting of gross ignorance on the physics of microwave energy. In 1989 an unfortunate woman named Norma Levitt died while in surgery. A malpractice lawsuit was filed, and the plaintiffs alleged that she died because she received a transfusion of hemolyzed blood. The blood in question had been heated in a microwave oven. The defendants maintained that she died of a blood clot, not the blood transfusion. The jury ruled in favor of the defendants. Now, you may or may not agree with the verdict. It is immaterial to the issue of microwave cooking. Even if the woman died from the blood transfusion, it does not mean microwave cooking is unsafe. Here’s why. If you look up the term hemolyzed blood (I had to), it is a common problem with blood storage. What it means is that the blood cells have been ruptured. In other words, this fragile, living tissue had been seriously damaged by the microwave. Now tell me, if you put a live animal in a microwave oven, would it not also suffer significant damage? If you did not already know, all cooking causes significant damage to the substances in food. One of the more significant changes is the denaturing of proteins. In that regard, microwaves are no different than cooking on the stove. Denaturing proteins is what differentiates cooked meat from raw. While some people believe that eating all of our food raw (including meat) is best, I do not fully agree. I do agree that raw food should be a part of our diet, but eating cooked food has been a staple of our diet for our known existence without harm. In fact, many foods should not be eaten raw and are better digested and more nutritious when cooked. As an aside, I believe that milk should be consumed raw. Cooking certainly damages it, despite what the dairy industry and their pet health officials would have you believe. Pasteurized and cooked milk is safe to consume in small quantities, but the bulk of it should be taken raw. More on that aside will have to wait for another day, so back to our story. Why is Microwaved Blood Unsafe? Even though the defense won their case, it does not mean the microwaved blood was not hemolyzed. It probably was. Does this mean the microwave is unsafe for cooking? No. Does this mean the microwave is unsafe for heating blood? Yes. Here’s why. Blood is living tissue. It can be heated, cooled and even frozen, but only in a very gentle manner. If you fried it over an open fire or even the stove-top, you would certainly hemolyze the blood cells. Not only that, but you would denature every protein in those blood cells. In order to heat it without damage, it must be done slowly and carefully in a controlled manner. This fact is well known, and hospitals have special heating units specifically for use with blood. What happened in the case of Norma Levitt is that the hospital staff was accustomed to heating IV fluids in the microwave. Since this practice was safe, it was probably assumed (mistakenly) by a nurse that she could do the same with blood. We all know that microwave heating is not uniform. When the delicate blood cells were exposed to the microwaves, they were heated to temperatures we associated with well done meat (160 deg F) if not boiling temperatures. Can you imagine boiling blood on the stove and then giving it to a patient? That is just what that nurse did. If she instead immersed it into a pan of slightly warm water or, as she should have done, used the heating unit made for the purpose, the blood would have been fine. My reader raised some very good questions. I believe I have shown that, despite the large number of articles to the contrary, microwave cooking can reasonably be considered safe. 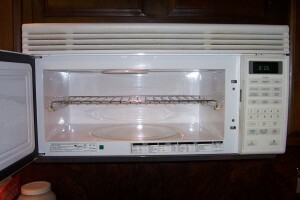 I have also shown that heating living blood in the microwave is not safe for that blood. It would be perfectly safe to eat (if you are a person who likes blood), but not for transfusion. Keep the comments coming. Until more substantiated evidence appears, go ahead and use your microwave with confidence. The Safety of Microwave Cooking – Revisited by Provide Your Own is licensed under a Creative Commons Attribution-ShareAlike 4.0 International License. This entry was posted in Health and tagged cooking, low energy cooking, microwave oven. Section: Article. Bookmark the permalink. Both comments and trackbacks are currently closed. May I clarify the case a little. Norma Levitt’s family claimed that the nurse miscalculated the time needed to heat the blood and effectively cooked it resulting in the haemolysis. The whole essence of microwaving is speed but that goes hand in hand with much smaller margins of error. 30 seconds is nothing when heating blood traditionally but in a MW oven it’s the difference between too cool and well cooked. Hospitals routinely do not use MW ovens because of this unacceptably small margin, but they don’t use saucepans, frying pans or steamers to heat blood either – perhaps suggesting that it’s the excess heat that is dangerous. The 1st question that struck me when I heard of this case was “why did the surgeon need blood so urgently that normal heating wasn’t quick enough band could this reason have been the cause of death?” and I’m always surprised when anti MW oven enthusiasts never seem to ask it. Interestingly, there is a preliminary study that found that more work needed to be done but used properly, MW ovens might be useful for heating blood!! Rapid in-line blood warming using microwave energy: preliminary studies. Schwaitzberg SD et al., J Invest Surg. 1991;4(4):505-10.